In writing this post I feel very much like someone at a Country Club complaining that my Arnold Palmer isn’t cold enough, right before I kick my feet up and look over the beautiful country side. You see the subject of this post is me complaining on how hard it is having a published series of books on Amazon, well not so much complaining about that but the expectations and work surrounding that. A little over two years ago I published a book – After The Event. I had been writing all my life and wanted to finally have a physical book that I could place on my shelf. I had no expectations and while the book was the first of a series my thought was that I would publish one of so every few years while I worked on other things. As I have explained in other posts the book began by selling a few copies every day or so, and then for some strange reason blew up. At one time After The Event was the #1 selling Dystopian Fiction book on Amazon, and books 2, 3, & 4 were in the top 10. I would release a book and literally the next day I would have emails asking when the next book was coming out. As an inexperienced writer I freaked. I was writing as fast as I could meaning things such as blogging, reading and other enjoyable things were distractions that needed to be cut out. Needless to say the very thing I loved, writing, ended up being kind of a stressor. Again, I realize I am complaining about having a published book series that people actually enjoy, but please hang in there. When I published my first book my son was barely two years told, he is now four and I have a one year old daughter as well. Anyone with children, let along two children around these ages, knows the amount of time they can take up. So I struggled, and to some extent failed, to juggle being a good dad and a good author. I owe it to my children to be the best dad I can be. I owe it to my readers to be the best story-teller I can be. AND I owe it to my story to be the best writer I can be. Writing takes time. You think someone who didn’t publish a book until he was in his thirties would have already realized this, but I’m kinda slow. Rushing a book out in order to satisfy my readers does them and my story a disservice. It takes time, it takes care and it takes patience. For my last book I took my time. Every time I would feel rushed or stressed I would step back and return to why I write. I would dive into a good book, or read over my old notes. That allowed me to return to the place I was before the first publication or first expectation was set. My readers ultimately decide the quality of my books but I can say for my last one I enjoyed it just as much as I enjoyed writing the first two. I am nowhere close to becoming a good author or knowledgeable writer but I’m more comfortable in my Author-skin then I have ever been. Writing is a journey, not a sprint and I will repeat that mantra every time I sit down and begin to type. Now excuse me while I get another Ma-Tai . 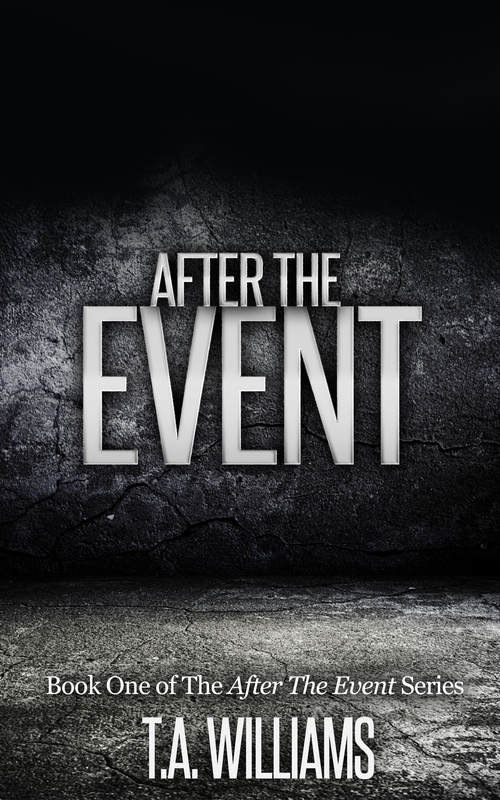 After The Event – Book 3 is out TODAY! I recently read a fellow author’s post, Brian J. Jarrett, in which he talked about why he is putting some of his back catalog on KDP Select. I recently decided to re-opt into KDP Select and decided I should probably post something on this too. My situation is different than Brian’s in that my work has always been exclusive to KDP. I published in late June 2014 and immediately signed up for Select in the hope that KDP’s promotions would help convince readers to give my work a chance. Shortly thereafter Kindle Unlimited rolled out. My intentions initially were to opt out of Select once my 90 days were up so I could get my books on other platforms but the combination of KOLL and Kindle Unlimited caused me to reconsider. My 1st book (After The Event) is only .99 cents which means I make .35 cents for every purchase. But every time it is borrowed (either through KOLL or Unlimited) I make around $1.50 +/borrow. This month I have been averaging 200 borrows a week for book 1 alone. So for Book 1 you can see why I hesitate to remove it from Select. So those are my reasons. While I hate that there are people who won’t have access to my work because of the exclusivity I have to do what I think is best for my “business”, and at this time KDP Select benefits cannot be ignored. 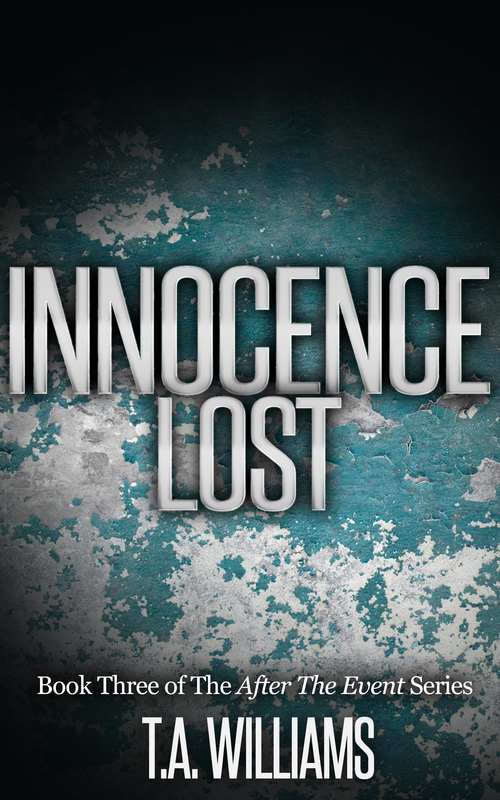 Innocence Lost Available For Pre-Order Now! Just wanted to drop you a line and let you know that Innocence Lost – Book 3 of the After The Event Series is available now for Pre-order! The book is currently in the care of my editor and I’m hoping to get it back in the next week or so. I’m hoping to put the book up for pre-order here shortly with a release date of mid-October. Naturally I will be posting once it’s available for pre-order and when it is released! Who Knows You’re A Writer? Who knows that you’re a writer/author? I ask because I have been a self-published author for nearly 2 months now and the only family that is aware is my wife and little brother. None of my friends are aware that I even write. The reasons are plentiful and some are even legitimate….some. In regards to my friends I’m not even sure some of them know how to read. I have a handful that I consider close friends but writing has always been my secret passion and never something I felt like sharing. If my friends found out I was a self-published author I wouldn’t try to hide it, in fact I would be very proud to show them what I have accomplished. So am I hiding this fact from them? I prefer to say they have never asked so I’ve never had a reason to tell them. My family is a much easier answer. My late mother and father were aware that I loved to write. My mother in particular was aware of my dream to have a book published and was a big supporter. So if they were still around they would be the first to know. My little brother is the only family I have left and the first time I appeared in the top 100 of the Post-Apoc section of Amazon I shared the news. He’s been supportive but has never been much of a reader so he can only grasp so much. Writing has always been something that was MINE. It was a tool to help me celebrate the good times or survive the bad. It has helped me grow as a person and has given me the ability to expand my horizons. It wasn’t until I set up this blog and got on twitter that I was truly able to find other people who understood writing like I do. It’s not a hobby or a job. It’s not something that you do from time to time. Whether our goal is to publish a book or to record our feelings, we are writers. I don’t share that I’m a writer/author with other people in part because they wouldn’t understand. But you all do. This understanding is what helps me keep typing when my fingers hurt and my brain gets soggy. This understanding is what excites me and makes me realize there are others that feel the same passion I do. So that’s who knows I’m a writer. What about you? Just wanted to drop a quick post to let you know how things are going on my self-publishing adventure. For those of you who have followed me during this journey you will notice I never really listed any expectations/goals, and that’s not to say I didn’t have any, I just didn’t have any based on solid information. My main focus was on finishing After The Event & The Remnants, getting them formatted for KDP and then releasing them. Well, while I was waiting the 24 hours for both books to be pushed through and put onto Amazon I decided to grab a poster board and list a number of goals. Those included 1st book sold, 1st 5 star review, 100 books sold, 250, 500, 1000, etc, etc. I also wanted to have a fire lit under me to push me to work hard & market the book so I put a date behind when I wanted to reach those goals. My main goal was to have SOLD 250 books in 2 months and 500 books in 3 months. What was that based on you asked? A whole lotta nuttin. I just thought that would be a solid amount of books to sell in 2-3 months for a newbie. 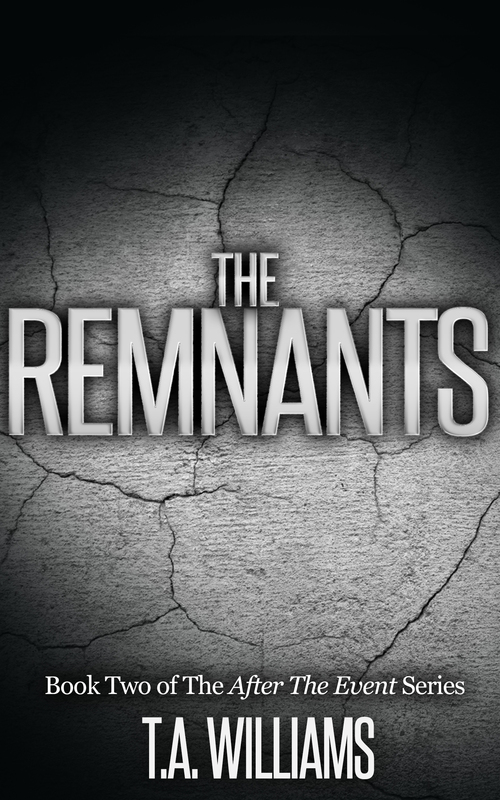 I released After The Event & The Remnants on June 27, 2014. The first couple of weeks I was selling around 5 books a day, which I thought was wonderful. I ran a KDP Select promo giving away After The Event for 3 days (July 17th-19th) and after that things started to get crazy. I went from around 5 books a day to getting into the high teens. 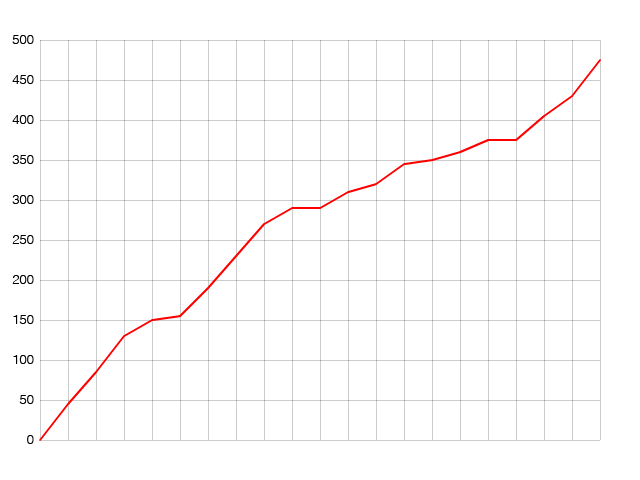 From there I started averaging 20 books a day and this last week I have averaged 30 books a day! So by July 20th I had easily sold over 100 books. The 250 goal fell soon after. AND I just checked this morning on August 7, 2014 I had officially sold over 500 books! At my current rate I will have sold over 1,000 books in less than 2 months!! This post is by no means meant to be a humblebrag but actually a thank you. My self-publishing journey has very much been a JOURNEY and one I did not take alone. Every person out there who checked out my blog, left an encouraging comment, or offered me advice helped push me to this point. So THANK YOU! And as one journey ends another begins. After The Event & The Remnants are just two books in a planned seven book series, so needless to say I have a lot of work ahead of me, but I’m looking forward to it. Thank you again to everyone who has, and continues to follow me. I couldn’t, and still can’t do it without you! !